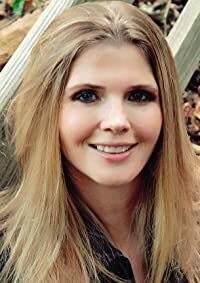 Today, we have author Shelli Johnson featured on the blog’s ‘Indie Saturday‘ for her award-winning coming-of-age novel “Small as a Mustard Seed” (Available on Amazon). Publishers Weekly called it: “An intense and heartbreaking story of the fallout of war” and we agree. We read the opening chapters, and we were immediately gripped by the desperate plight of the two young girls coping with a father traumatized by war, and a mother helpless to protect her family from his PTSD. I think the best stories are the ones where the writer drops the characters into a situation & lets them figure it out, where it gets messy and isn’t planned, where shocking things happen that the writer didn’t see coming because that means the readers won’t see it coming either. That’s what happened with this book. I was writing about the main characters — sisters: Ann Marie, the older one, and Jolene, the younger — for about 4 months, both of them as adult women. The story wasn’t really going anywhere and then one morning at about 2 a.m., I was in my little attic writing room when Ann Marie showed up as a 10-year-old in a barn, scared out of her mind, her father with a gun to his head & threatening to pull the trigger. That scene came out of nowhere & I let it play out, let the characters do whatever they were going to do while I just wrote it down. It ended up being the first chapter of the book. Once I got that idea, the rest of the story simply came along with it. The story takes place in the 1960s & 70s and primarily chronicles the girls’ lives from early adolescence until young adulthood. Frank, the father, joined the army as a means to an end: he’d wanted money to go to college and to finally move away from the small town of Stanhope, Ohio. When the war in Korea erupted, he was sent off to fight in subzero temperatures, without adequate equipment, and not realizing an event would occur there that triggered devastating post-traumatic stress, which would then follow him home. He confuses reality with soul-searing memories, believing he’s still a soldier fighting for his life in battle-torn Korea, and that confusion leads to his daughters to fearing for their lives. It might be easy to blame Frank, maybe even to hate him, but I did my best to write the fragile parts of him, too, the parts that make him a man struggling against something he can’t control. Adele, the mother who had sported Frank’s class ring and given him her virginity before he shipped off, who’d also had dreams of her own, wasn’t prepared at all when he came home severely wounded, a faint shadow of the man she remembered. Hobbled by her own memories and wants, Adele scrambles to keep order while Frank’s threatening and unpredictable outbursts slowly tear the family apart. In the book, Ann Marie calls her mother “weak-willed” and maybe that’s true, but being a mom myself, I can see Adele’s side of things and my heart still breaks for her, even now. Jolene, the younger sister, is headstrong & stubborn but loyal to her sister to a fault. She wants their lives to be normal, to be like everyone else’s, just school and boyfriends and sleepovers. But her father, without warning, mistakes her for a Communist, for an enemy solider or a Korean villager, and leaves her clambering to protect not only herself but her older sister as well. Later on, she makes a choice that has devastating consequences for everyone involved. That scene, where she makes that choice, is my favorite scene in the whole book. And finally, Ann Marie, through whose eyes the entire story is told, is just trying to navigate her way through her childhood and keep herself—both physically and mentally—intact. She loves her parents fiercely and, at the same time, is helpless as a child to do anything about what’s happening around her. She loves her sister with that same intensity and is helpless, too, to make their situation any better. The book’s written in first person, and while the events are a figment of my imagination, Ann Marie and I share a lot of the same personality traits: the aching want for something different, the hollowness that happens when we can’t have it, the kernel of hope that’s always there. The title, SMALL AS A MUSTARD SEED, is part of a quote from the Bible about how a tiny amount of faith can make a difference. While the book is not Christian fiction, there is the idea of faith running through the story. As a reader once said, “In the end, sometimes a small amount of faith is all we have left.” As a writer, it always makes me glad to make somebody feel something so intensely that it sticks with them long after they’ve closed the book. Based on reader feedback/reviews, I believe I’ve achieved that with this novel. This book is the Grand prize winner of the Writer’s Digest International self-published book awards and has also won a substantial grant from the Weisman Fund. After receiving a Bachelor of Arts in Journalism from Kent State University, Shelli Johnson went to work at a major metropolitan newspaper for several years, the majority of which was spent in the Sports Department. While there, she won a Hearst National Journalism Award and two departmental Associated Press awards for her reporting. She earned a Master of Fine Arts in Fiction Writing at Columbia College Chicago, where she completed her award-winning novel, Small as a Mustard Seed. Small as a Mustard Seed by Shelli Johnson is available at Amazon in Kindle format. You can also get the book at Barnes & Noble and iTunes. More info also available on her Facebook, Website and Twitter! The author is also active on Goodreads and the Bookblogs forum. Read an embedded sample of “Small as a Mustard Seed” after the jump! I’ll just say that you don’t want to miss a chance to feel the impact of this story. I’ve read a lot of big-market novels that tug at your emotions but what Shelli Johnson has done with this independently published story is create an emotional experience you won’t forget. It was one of the most difficult stories I’ve ever reviewed because you cannot capture the depth of characters and plot – the quality of the writing- in just so many words. It will leave a mark on your heart. Twitter Deal Alert! Kobo Vox eReader (Jet Black) for $179.99 at BestBuy! ($20 OFF) Amazon Appstore for Android FREE App of the Day – Word Ball by Continuous Integration Inc.